Spirit Airlines offers some cheap airfare deals, but it also ranks dead last when it comes to customer satisfaction. The low-cost carrier had the lowest score in this year's American Customer Satisfaction Index's travel report with a score of 62 out of 100. But the good news is the airline is making strides in winning over its customers. Spirit (SAVE) scored almost 15% higher than last year. "They made big gains this year mostly because of price," said David VanAmburg, managing director at ACSI. "They don't spend the money on customer service." Spirit airlines offers what it calls "bare fares," which means it charges extra fees for things like a second carry-on bag, water on the plane and printing a boarding pass at the airport. 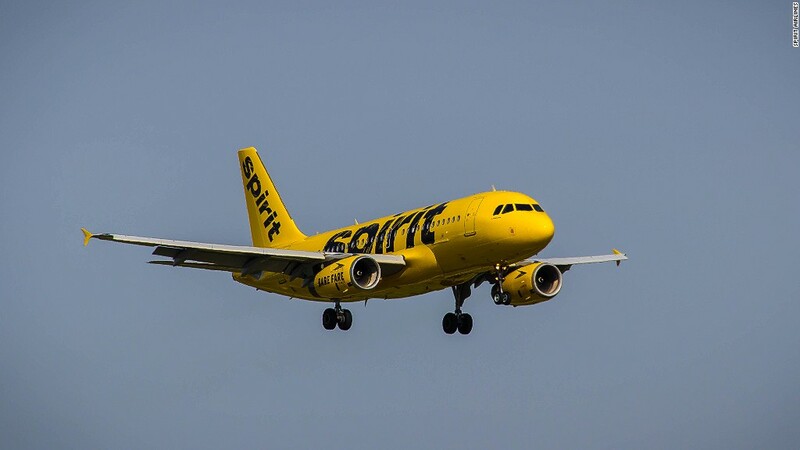 "Things that are often considered 'free' on other airlines, there is a cost associated with them, even if fliers don't want them," said Paul Berry, Spirit's director of communications, advertising and brand. "We are giving customers a choice on what they have to pay for." The Florida-based airline shifted to this business model in 2007, and it has taken some time for customers to understand the price structure. "We saw the same trend with low-cost carriers in Europe -- they started off being hated and having the worst levels of complaints. Now 20 years later, more people fly on airlines that look like Spirit over there -- people really love low fares." Passengers are more satisfied with the airline industry as a whole this year thanks in large part to lower fuel prices. Customer satisfaction with all airlines improved to 72 from 69 in 2015 -- the highest level since 1994 -- but that isn't saying much: The sector is still one of the ASCI's lowest-performing industries. Cheap oil prices have been a boon for airline companies and they're finally passing the savings onto customers. "They are putting some of that back into their business and making the customer experience better and investing in customer service." For instance, American Airlines (AAL) and United Airlines (UAL) recently brought back free snacks, which always sits well with customers. United experienced a 13% increase in its score while American scored 9% higher. JetBlue (JBLU) and Southwest (LUV) ranked the highest with customers with scores of 80. "Both carriers do a good job providing the level of services they do for the prices they offer," noted VanAmburg. For the entire industry, seat comfort received the lowest score from passengers at 67 while check-in ease ranked the highest at 81. ACSI's annual report is based on the responses of nearly 7,000 airlines, hotel and travel industry customers about their recent travel experience.